Study more about what "gossip" really is. We all need to learn how to love, even our enemies. When someone injures us, we give the matter to Yahusha. In time, healing will occur through His discipline, not ours. When we torture ourselves with our own thoughts of injustice, we rot our own bones. I know what gossip can do to a person, and learned to let Yahusha take the fiery arrows that would have consumed me. Gossip violates the law of love (#9). 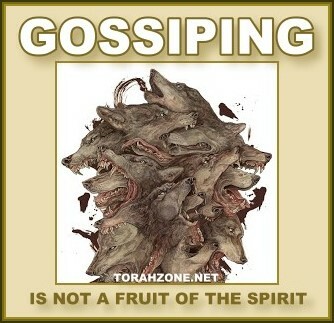 Gossip is not one of the fruits of the Spirit. When we attack one another in the body, we are attacking the Head. In serving the purpose we created for, we all go through some very intense training to prepare us for it. As we look at any of the stages of our development along the way in our refining process, we will all admit we are imperfect and hardly should judge others, knowing we too are to be judged by the measure we use to judge others. I don't work there and haven't for several years. When I worked there for 35 years, I was serving Yahusha. He asked, and I said I would serve Him there, or anywhere. I've never hidden my identity from anyone. The slanderers are hiding, and they’ve never done the things they claim. I've never met them, nor does anyone know their identity. They do not show the context the "evil objects" have around them. All over the store there were teachings which people would read and learn from. These things are never mentioned by the slanderers because like the media, they slant things to fit their objective: to destroy my reputation. Pray for them, Yahuah hates this kind of thing. You do not (LO H3808, no, never, not) bear (ANAH H6030, testify, announce, utter) false (SHOA H7722, devastating, desolating, deceptive, destructive) witness (ED H5707, testify, record) against your neighbor (REYA H7453, associate, fellow, companion). The principle behind this and other Commandments is the Golden Rule. This is training in how to love our neighbor, even our enemies. "The first to state his own case seems right, until another comes and examines him." The bearer of an evil report, or one trying to make someone else look bad (as we see in politics constantly) transmits words of death that are intended to destroy the reputation of another person. Destroying the reputation of another person is known as trolling when the Internet is used, but in general we never make ourselves look good when we try to make someone else look bad. Hiding our identity as we attack someone's reputation shows everyone how dark our heart really is. If we keep Php. 4, Eph. 4, and Romans 12 in mind at all times, we can identify the fruit of any tree, including the fruit we are bearing in ourselves. The Torah is a mirror that shows us what we look like as we behave in the world. May we all reflect Yahusha's essence always. Forgive as you have been forgiven. Gossip ends at a wise person's ears. I have not worked in the store for years now, and yet because the store is a corporation and owes hundreds of thousands of dollars to a bank, the ownership I retain is 40% at this time is necessary. I'm personally signed to the bank note. I have no part in daily operations, scheduling, hiring, or buying. If I owned 51% of the stock, then I could influence operations. In 1985 Yahusha awakened me to serve Him, and to remain where I was to do so. While I was there, many thousands of people saw and heard the Truth. If Yahusha tells you to do something that others condemn you for, stick to it - you don't report to anyone but Him. A prophet was told to marry a prostitute, another was sent to the capital city of the enemy, but in the end, the mission they served was done. We who love Yahusha can smell His sweet Spirit on one another as we build-up one another, but those who are impostors do not have His fruits and tear down His servants. Sow His Commandments everywhere, even in the back alleys - wherever the lost may be found. In the time since I've left the store, I've translated the BYNV, written the updated Fossilized Customs 12th Edition, and the new books Truth Or Tradition, Strong Delusion, Sunday Origins, Reapers, and Nimrod's Secret Identity. These books are in the store now, along with DVD's and articles teaching the Truth. rejoicing in the expectancy, enduring under pressure, continuing steadfastly in prayer; imparting to the needs of the set-apart ones, pursuing kindness towards strangers. Bless those who persecute you – bless and do not curse. 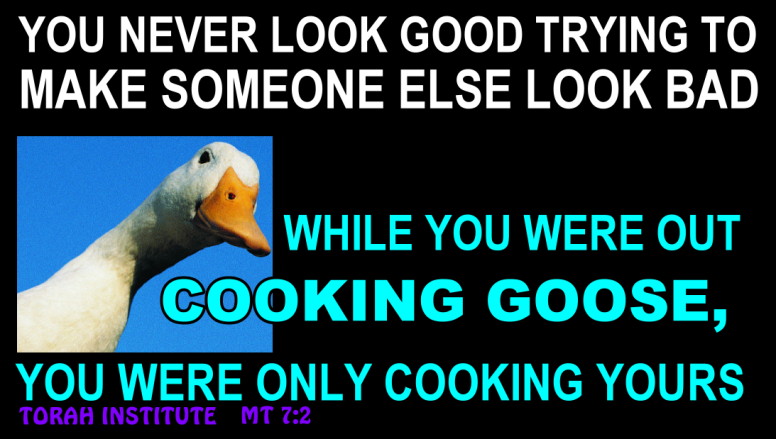 Do not be proud in mind, but go along with the lowly. Repay no one evil for evil. Respect what is right in the sight of all men. If possible, on your part, be at peace with all men. “Vengeance is Mine, I shall repay,” says Yahuah. Hiding their own identity very carefully (as trolls do), the "Messianic Hall Of Shame" and others piling-on to cause deliberate malicious harm to several people. The evil and ugliness that is felt when watching or reading their presentations is overwhelming, and stems from the hatred / jealousy in the heart of those who designed the expositions, not the subjects of their hatred. · actions that use information and communication technologies to support deliberate, repeated, and hostile behavior by an individual or group, that is intended to harm another or others. · use of internet service and mobile technologies such as web pages and discussion groups as well as instant messaging or SMS text messaging with the intention of harming another person. 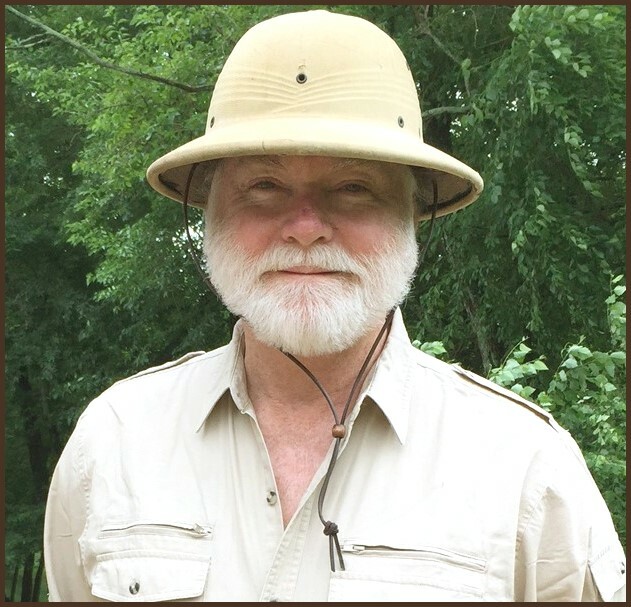 “I'm also thankful for you specifically, because it was your experience that Yahusha used to trigger me into action, in another very unexpected way that proves His power in what the world views as foolishness . . . I repeat that if I hadn't seen those silly persecutor’s attacks online, I might have not even entertained any attempt to rise above my precious misery . . . lol. I now see how Yahuah uses what we sometimes view as a thorn to armor us and give Him esteem, or to rescue another. I never give a second thought to anyone who seems too perfect. Strength in weakness gives me the courage to hold on to Him. We know how, when, and why we became who we are, and Yahusha walked beside us waiting for us to realize we needed Him. Rather than run away from others who are still as we once were, we are now equipped to help them in Yahusha’s power. It’s never been about us, but rather about Him. Now others who are lost can come to Him through the words He gives us to share with them. I’m so glad He used me and the persecution from false followers to open your eyes to His love. We must decrease, and He must increase! I’m sorry so many tender hearts are being harmed by the slander. I don’t work in the store, and have not for years. My partial ownership was the only reason I could open my mouth and stock my books, articles, and DVD’s. The videos don’t show the messages placed near the “idols” – which were all used as object lessons to teach against them. There is nothing scary going on but the music in the videos, and I pray for the slanderers every day. “Let no corrupt word come out of your mouth, but only such as is good for the use of building up, so as to impart what is pleasant to the hearers. And do not grieve the Set-apart Spirit of Alahim, by whom you were sealed for the day of redemption. Let all bitterness, and wrath, and displeasure, and uproar, and slander be put away from you, along with all evil. After finishing college, I began a business with my closest friend, which I have known since childhood. He is a decent, honest person, whom I pray for daily to receive the Spirit of Yahusha. This business is a music outlet with a "hippie" decor, and it is a friendly, clean environment that whole families come to for shopping. 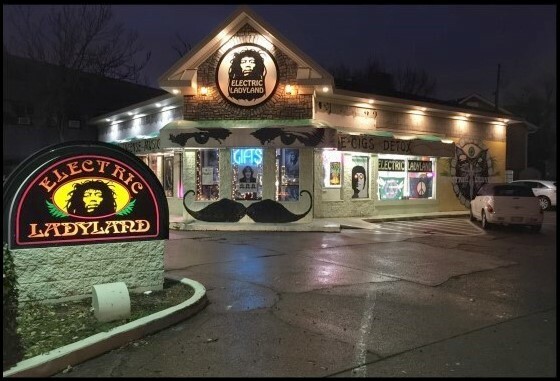 The retail business we started in 1978 was engaged in selling records, tapes (now CD’s & DVD’s), incense, posters, jewelry, tapestries, clothing, and a wide variety of young lifestyle gifts, including tobacco pipes (both traditional and contemporary). It was a “hippie store” from the beginning. After 3 or 4 years, we worked in the store less and less, but still owned it as equal shareholders. With my extra time, I was able to study whatever I liked; my favorite passion involved the sciences (especially physics, biology, and cosmology). After some time, I reached the point where I realized that “science” was full of theories, few facts, and was a belief system being promoted by elitists called “scientists”, but they were primarily humanists who projected a superficial, philosophic “piety”, and they demanded devotion and reverence. Having had my eyes opened to their agenda, I was now ready to receive the Truth. Husha (Hoshea) the Prophet was told to marry a whore for Yahuah to make His point: that Israel was a whore to Him. If any person is without sin, or can control his tongue, he is a perfect man. Like the prophet Husha, I was specifically equipped for the mission given to me. Only a small part of the work involves the little hippie store, my interest in which has been for sale since 1991. The faltering income received from the retail store described in this letter supports about 50% of this ministry. For this, I’m thankful. My commission to do the work I’m sent to do comes from far above any Earthly authority. The fact that I’m attacked for doing it from the household of faith is sad, but much of that may be from those who are spiritually darkened. This darkness is revealed to all in their method of attack and intent, as people hear their lashon hara (slanders). If you look at any of the first several editions of Fossilized Customs, you will find that the address, used for many years, was this store at 2325 Bardstown Road. This store was the original base from which this ministry of Yahusha was launched. 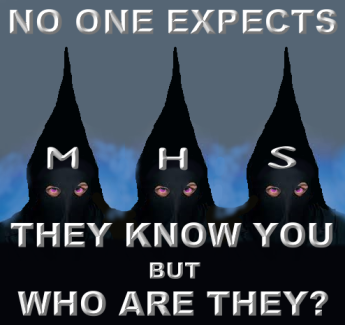 We are still surrounded by witches in the community, as well as homosexuals, and many other lost souls. The “faithful Christians” who “go to church” right down the street from this store are headed for the same eternal destination as the witches and homosexuals, unless Yahusha can reach them through fishers and hunters. I have never stood in condemnation of another elder Natsari, nor conveyed lashon hara against a brother or sister. The papacy, dalai lama, Constantine, and the like are not brethren, and their lies I do expose while I am free to do so. “Perverseness is in his heart, plotting evil at all times, he sends out strife. Therefore his calamity comes suddenly; instantly he is broken, and there is no healing. ‘What man among you, having a hundred sheep, and having lost one of them, does not leave the ninety-nine in the wilderness and go after the one which is lost until he finds it? And having found it, he lays it on his shoulders, rejoicing. Put on love, and go find the lost sheep; please don’t grumble and persecute one another. "As a former employee of Electric Ladyland I can attest that Lew was always an exemplary boss. He always spoke with me about the Torah's sayings and the phone rang off the hook with others wanting to talk with him. The store is not about drug use. It's about a love of music. Not only can he talk to you about his beliefs, he can also talk about Frank Zappa, The Beatles, and more. He NEVER worked on the Sabbath. He's a totally cool guy and I loved working for him. And he even FIRED me. So that's how much respect I have for him." “Love one another” is a command, not a suggestion. Several of us have endured cyberbullying for over 4 years now, and have finally decided to disclose what is going on. I’ve reported certain websites (below) to the Kentucky State Attorney General, as well as the FBI. Google’s Youtube and the web hosts for the cyberbullying websites have received the complaint (below). It’s time for us to bring this to the enemy, who has no intention of repenting of their hateful actions toward us. This unidentified person has destroyed not only my reputation with their activities, but also that of at least three others. The website is dedicated to the destruction of my reputation and business, and is portraying misleading information out of context that is false and misleading. I have decided to take action to prosecute whoever this person is as soon as their identity is made known, as well as all those giving support to their hateful activities that incite fear and destruction of other's reputations. Their actions meet every criteria of cyberbullying, an international crime. The other three victims of the cyberbullying may also take action, as I am forwarding a copy of our decision to them. The FBI has been contacted, and may initiate action against the person or persons responsible for this criminal activity. Another website we are reporting is http://2besaved.com/ which engaged in the same activities in the same timeframe. Both of these websites tear-down the reputation of many other translations, which in their time attempted to get the Word of Yahuah correct. Correcting errors is one thing, but they promote many of the same errors as those they tear down. Their Halleluyah Scriptures is the same text file as ISR’s The Scriptures, used without permission, with the original script restored for the Name. Chris Koster’s The Scriptures used the Aramaic script for the Name. Brother Chris had missed several blatant errors in the KJV, but corrected as much as he was shown at the time. These errors cascaded into the Halleluyahscriptures, the work of Chris Koster. Brother Chris did his best, and acknowledged his work was built on that of others before him. A translator attempts to convey the message as he is led to do by Yahusha's Spirit/Ruach. Sometimes former translational errors are overlooked for others to correct and refine. “Sun of righteousness” should be “Servant of righteousness” at Mal. 4 – all inherited KJV errors. The KJV is a direct translation of the Catholic Latin Vulgate. The KJV is Anglican Catholic, yet was part of the plan of Yahuah to teach the nations His Word through a jabbering lip and a foreign tongue: the English Language. Forgiveness is one of the greatest actions we can take toward one another. We will be forgiven as we forgive others, so this will hopefully end with the healing of all wounded hearts. But the unrepentant heart will receive no kasid from Yahusha whatsoever; either in this life, or the next. We pray for all those who are persecuted by others, that Yahusha be with them to reflect love in response to those who are filled with fear and hatred.